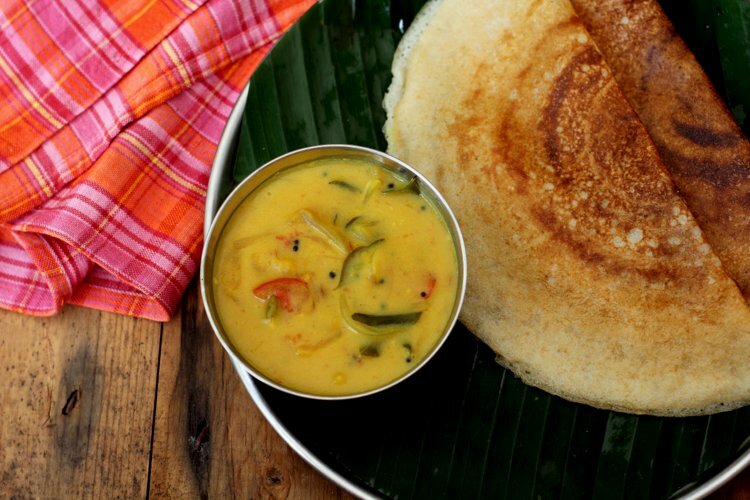 Bombay chutney is a gravy dish served as a side with breakfast items like dosa, idli, puri, chapati and roti. It is popular down South especially in Andhra Pradesh and Tamil Nadu. Go to any of the road side tiffin centers in any small town or city, you are sure to find ‘bombay chutney’ on their menu. 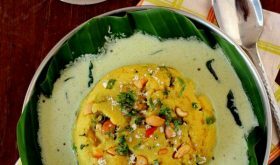 It is an age old recipe in many telugu households. My grandmother used to serve use this gluten free chutney with poori and dosa. 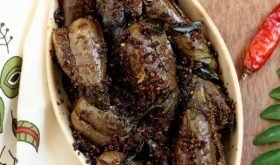 It is basically a Maharashtrian recipe, pitla (pithle/pithla) adapted to the South Indian palate. 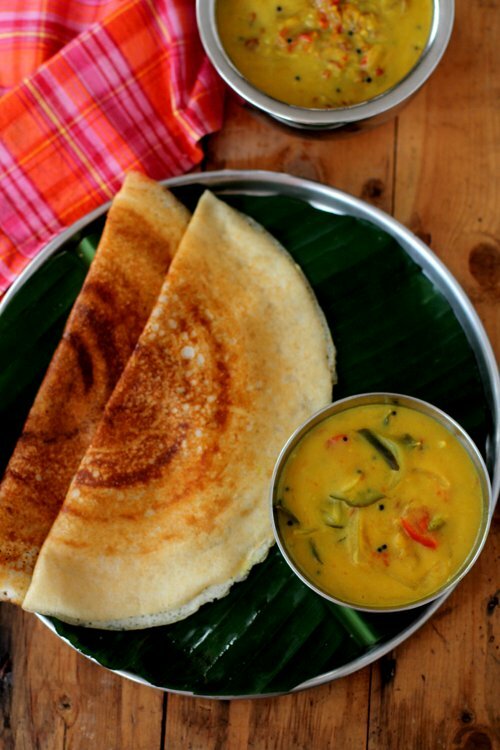 Pitla is a besan based, thick gravy served with bhakri roti which is a staple dish of Maharashtrian cuisine. 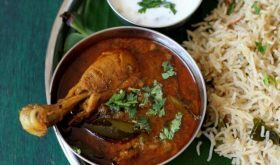 Since chutney or pachadi is part and parcel of South Indian tiffins, pitla might have taken the name ‘Bombay chutney’, a thinner consistency gravy dish. That’s my guess. 🙂 Can someone please throw some light on how the name ‘bombay chutney’ came about? Quite a few Indian food dishes are versatile and bombay chutney is one of them. 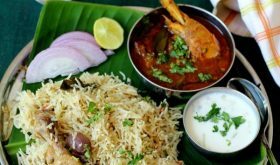 There are a few variations to the basic bombay chutney recipe and just a slight change in tempering or addition of either onion, tomato or potato changes the flavor profile. In our home, we make three to four variations that are served with different tiffins. Bombay chutney with potato or bombay aloo chutney goes best with puri, chapati and roti. Another version without onions goes well with idli. 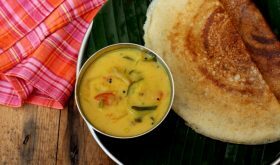 The version with tomato and onions goes well with dosa and puri while the version with curd makes for a flavorful side with puri. I will share all versions in future posts. Today am sharing andhra style bombay chutney with tomato and onion. In a bowl, mix besan (chickpea flour) in one cup water. Mix till smooth with no lumps. Set aside. Heat oil in a heavy bottomed vessel. Once hot, reduce flame, add mustard seeds and allow to splutter. Add urad dal and chana dal and allow the dals to turn red. Add curry leaves, green chilies and ginger and mix for a few secs. Add sliced onions and saute for 6 mts on low medium flame. Add turmeric powder and salt and mix well. Add chopped tomatoes and cook with lid on low medium flame for 6-7 mts. Add 3 cups water and bring to a boil. Reduce flame, slowly add the besan water and keep stirring continuously. You will find that the mixture will thicken. Keep stirring for a few secs till there are no lumps. Place lid and cook on low flame for 7-8 mts or till rawness disappears. If you overcook it, the mixture will become too thick. Turn off flame and remove to a serving bowl. Garnish with coriander leaves and serve with dosa, idli, puri or chapati. You can add 1/4 tsp asafoetida at the time of tempering along with curry leaves. A tbsp of lemon juice can also be added once heat is turned off. Bombay chutney thickens on cooling. If you want thinner consistency, add 1/4 cup water and heat it for a few mts. You can use 1 cup buttermilk and 2 cups wat.er. 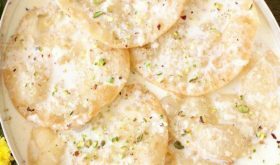 Use of buttermilk will lend a slight sour flavor to the dish. Vegans can avoid buttermilk. In Bombay Chutney you can also add one tablespoon ful of tamarind juice and the taste will be good. For information in west godavari district of Andhra this chutney is served in all hotels who operate 24/7 and is called Chinthamani. It is better if the besan is roasted a bit to take away the raw smell.